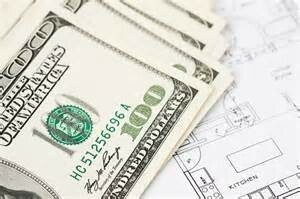 Want to know how much to budget for a home remodeling project? THAT is a question we hear all the time. this depends on what you’re doing. A kitchen? Plan on more. If you’re just finishing out a basement, then less. Most rooms are about 5% of the home’s value, while important rooms (like a master bath) could be 10%, and expect around 15% for a new kitchen. YOUR TASTE has a lot to do with this, too. What type of finishes do you like? Custom counters and high-end fixtures, plus top of the line appliances will run you quite a bit (but would be worth it). What you really want to know is how much you can save, and how, right? To find out you’re not getting taken to the cleaners by your contractor give them a call and check out their reviews. The internet is a wonderful place to do some searching, and get a feel for how they do business with a quick call as well. Those two things will save you a lot of heartache down the road. Once you have a contractor picked out (not using one will only save you a small % which you’ll end up paying in mistakes), decide what you can do WITHOUT. Do you need everything to be new or can you reuse something? Does your project need to be that big? Is this for an investment or to live in? How are you financing it? A low interest loan or refi? Or high interest credit? All of these things will make a difference and save you a lot if you’re on top of things, but it will still likely cost tens of thousands for any quality job. Expect change, expect things to vary, but make sure your builder knows your FINAL amount that can’t be stepped over. Actually, plan for 20% below that and AVOID changes in your plans after work has begun (that’s where it gets pricey, having to undo and redo something differently). Work together on a plan, a budget, get their input, set a goal and make it happen. Let me know your thoughts below, and if you have any questions just give us a call.